Vietnamese-made confectionaries are growing increasingly competitive with their foreign counterparts at local supermarkets. Increased sales of Vietnamese candy products show customers are buying up domestic products more than in the past thanks to better quality, flashier advertising, and a wider range of available products. Markets once full of Chinese and Malaysian treats are now stocked with inexpensive local goods thanks to the improved quality of many bakeries around the country. The two pioneers are Kinh Do and Bibica Corporation who spent millions on machinery to make sweets from Europe and Japan in 2000-2001. Customers are also choosing more brand name products from local confectioneries like KFC, Cosy Marie, Goodies biscuits and Hura sponge cakes. Two newcomers, Southern Nutrition Food Ltd., Company (SNFood) and Saigon Co.opMart have also recently launched their own lines of candy. SNFood, established one year ago, has also taken steps to keep its prices 10 percent lower than other domestic products to increase sales. Local sweets are consistently cheaper than imported products, by 10-20 percent on average. Ngo Van Hai, deputy director of Citimart Supermarket, said locally made candies are of the same quality and are more popular than imports because of their lower prices as enterprises have invested in state-of-the-art machinery and use materials from New Zealand, Denmark and Holland. All ingredients are regularly inspected according to international hygiene and safety standards, Hai added. 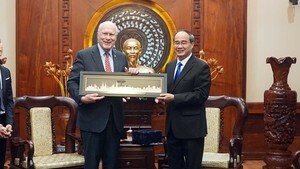 Bibica Corporation now exports products to Laos, Cambodia, Thailand and Mongolia while Kinh Do exports to the United States, Europe and other countries. A preference for local goods is expected to continue thanks to the improved transparency of products’ origin and ingredients along with strict supervision of the imported materials and a crackdown on smuggled goods. 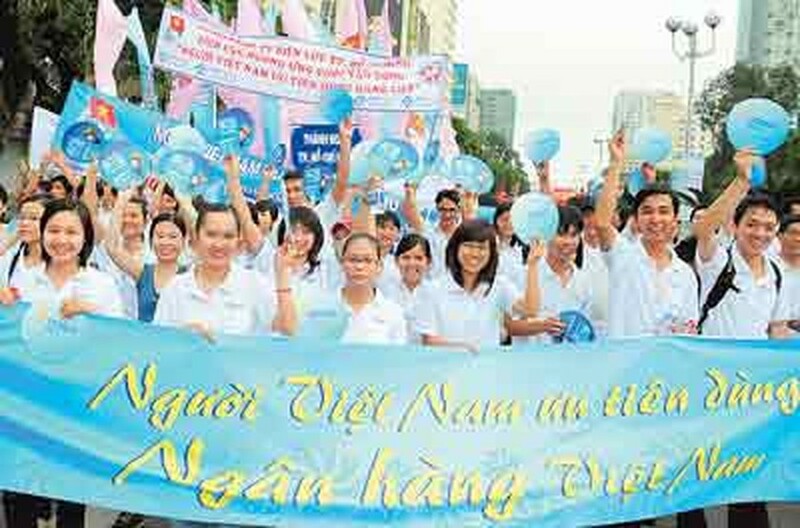 Around 16,000 businesspeople, workers, youths and Ho Chi Minh City residents on October 11 participated in a march to support the “Buy Vietnamese” campaign approved by the Politburo to encourage people to buy local. The organizers, including the Ho Chi Minh City Union of Business Associations and Enterprise Newspaper, collected over VND1.4 billion to help residents in storm-stricken areas. The march took place at park 30/4 in District 1.